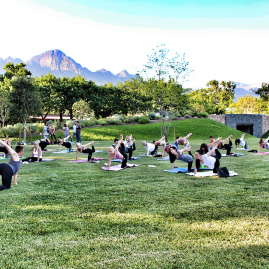 Only 45 minutes from Cape Town, Lourensford offers the perfect spot to create your own sunshine and ease into the day with an outdoor morning yoga class overlooking the majestic Somerset West Mountain range. Following yoga, we’ll take a gentle hike to a picturesque lookout point where we will enjoy a delicious vegan picnic breakfast, glass of bubbly and a positive affirmation card session. Your hostess for the day, women’s wellness expert Sharni Quinn will guide you through the morning’s activities and introduce you to this session’s guest speaker who bring you her valuable knowledge, experience and tips on financial wellness. You’ll leave with a few practical tools to implement when you get home to create abundance in your own life to be able to live the life you have always dreamed of living. We finish off our day with a wine and chocolate tasting in the glorious Lourensford cellar and some time to connect and share with new friends. Spoil and pamper yourself and escape the rat race for a day! 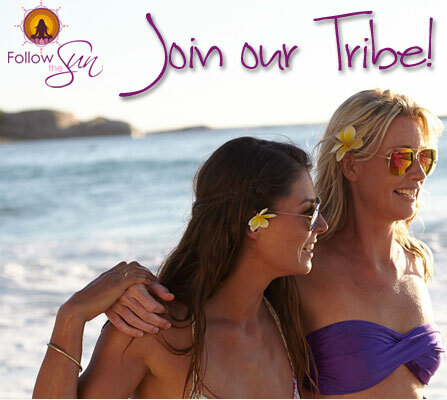 This special day is limited to a small, intimate number of ladies, so gather your tribe (or come on your own), and book your tickets before they sell out!